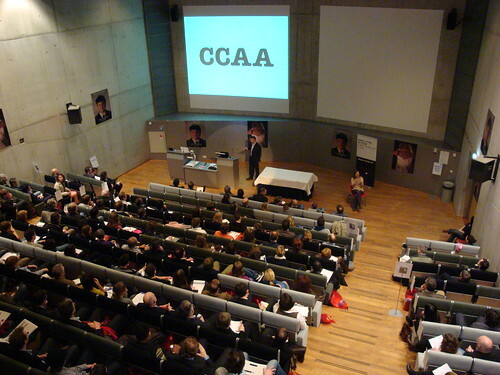 In the name of the running Connecting Creativity program, the Hogeschool Utrecht organized the Creativity means Business symposium. The goal of the symposium was to raise attention to the fact that creativity is a crucial part of any company that wants to succeed in our current society. Creativity is -or should be- a skill for any organization to master. Creativity isn’t something you grab of the shelf when you need it, it should be embedded in the culture of the organization. The symposium featured 3 keynote speakers that all had a strong link between their business and creativity. 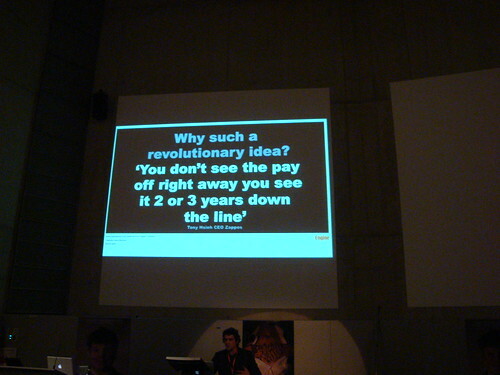 One of the speakers was Walter Amerika who is trying to setup a bank sofa aimed at the needs of the creative industry. The other speaker was Ruud Hendriks, a highly successful dutch media entrepreneur who is the living example that you need to take risks in order to succeed. 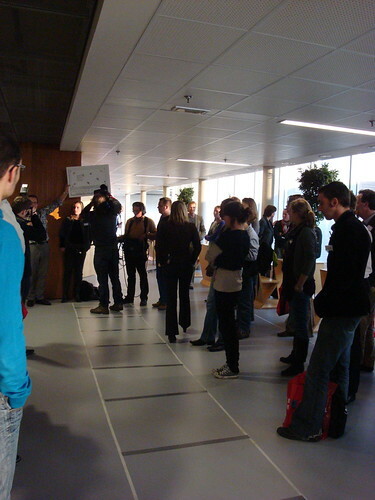 Besides the speakers there were workshops on “Crossmedia”, “Marketing 2.0” and “Service Design”. 31Volts co-organized the Service Design workshop in which we explained our 3 day Service Design project we did a week earlier. During the workshop we used our audience to actually prototype an experience we designed. This was a welcome distraction from all the theory and frankly it was just also fun to do. The day ended with the presentation by James –“I’m a Service Designer”– Samperi from our friends at Engine. I think James did a great job. Most of the people in the audience had probably never heard of Service Design before. James managed to really bring this to live by using vivid examples of actual Service Design projects at Engine. Presenting a practical definition of “services” and “design” definitely helped to explain the work of a Service Designer. Also the power of big brands was shown again. The examples James used were for some of Engine’s established clients. That big companies take Service Design seriously and see the business potential gives this field the credibility is needs to grow. I was even approached after the event by people saying that they were really impressed by the projects done in the UK and were curious what the current state in the Netherlands is. It would have been great if the presentation would come online but I haven’t found it yet *hint. 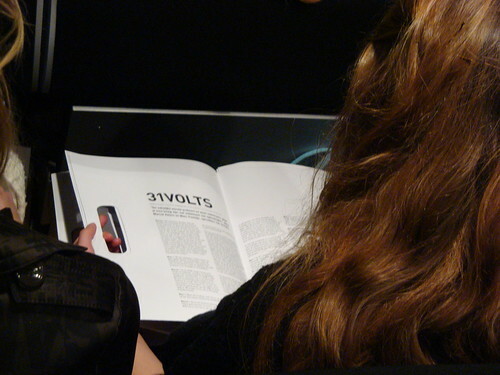 It was a good day for the PR department of 31Volts as we were featured in the magazine “echt” (authentic) that was handed out during the event. And were stalked all day by a TV crew that was making a coverage the symposium and used us as their social object. The positive attention Service Design got (big thanks to James) doesn’t hurt us either. I think all in all around +/-250 people attended the symposium, ranging from students to innovation-managers. It’s interesting to see what the next step will be by the Hogeschool Utrecht. Organizing such an event is hard work but it’s even harder to create a sustainable “creativity means business” culture. James, thank you for your inspiring presentation!